The heroes of Confederate hagiography long laid an unchallenged claim to Southern public spaces and American White imagination. However, few if any Confederates immortalized in the rebellion’s memorial landscape are still viewed as untroubled icons of honor and manhood. 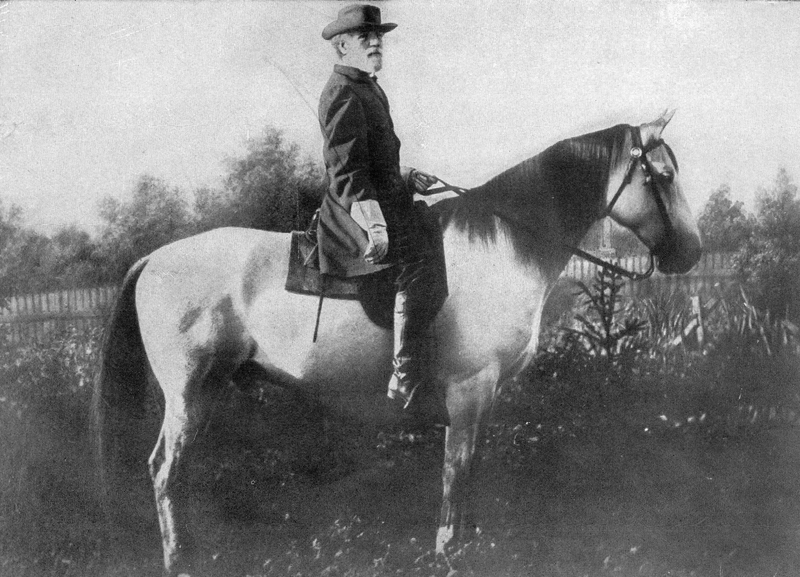 As monuments to neo-Confederate heroes are now rapidly being removed from public space, one of the most interesting Confederate icons is Robert E. Lee’s famed horse Traveller. Traveller is himself a symbol used to narrate the Confederate cause, and he has had the status of relic since the 19th century. The most sacred relics are the physical remain of a venerated figure’s body or the things with which their body was intimately contacted (e.g., clothing). A relic is some object or material place that is experienced as an active presence representing values that followers aspire to reproduce (see Gary Vikan’s description of relics). Traveller may seem a distinctive figure to cast as a relic, his status largely beholden to his connection to Lee. Nevertheless, Traveller’s materiality provides an illuminating story of Confederate history-making.